Trough “INTED – Integration Trough Dialogue and Education” project we aimed to, in collaboration with our project partners, increase our competences and resources in working with refugees with an emphasis on the most vulnerable refugee groups. In order to achieve this, we have organized several educations for employees of the project-partner organizations. These educations are primarily focused on integration, information and education of refugees and migrants, as well as potential mental health issues. Our project partner organizations are Section for Resource and Support Activities, Linköping Municipality, Sweden as coordinator, Landratsamt Enzkreis from Germany, Studieförbundet Bilda sydöst from Sweden, Unione dei Comuni Val’Enza from Italy, and Omega – Transcultural Centre for mental and physical health and integration from Austria. The fourth education was held in Italy, in several municipalities within Reggio Emilia County, between 12th to 16th of March 2018. 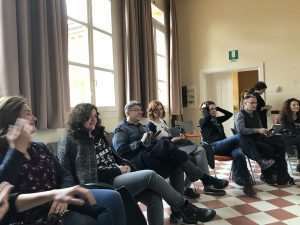 The first day of the study visit, on Monday, our hosts from Unione Val d’Enza have shortly presented their own work, highlighting their work with asylum seekers and persons under international protection, after which an overview of reception system for asylum seekers in Italy has followed. On the second day of the study visit a meeting with Reggio Emilia prefect was organized. A lecture on “Receiving migrants: difficulties, strategies, successes” and an interactive exhibition “Runaway from Syria” organized by Reggio Emilia Caritas followed the lecture. The third day was marked by several visits: to forts Cannossa and Rossena, Rossenella tower and Cultural Centre Multiplo. In the Multiplo Centre a lesson was held on education of migrants in Italy and CPIA, a school that organizes language courses for foreigners, was presented. The first part of the lesson on the fourth day of the study visit was focused on trafficking and prostitution victims. It was held by representatives of Rosemary project, which was founded in 1997 in order to raise awareness of the issue, as well as to help the victims. An education on health protection of asylum seekers and refugees followed, while the day was closed with an introduction meeting with volunteers that are involved with organizations which help asylum seekers and refugees. On the final day of the study visit, on Friday, we were given an insight in current political situation in Italy, including an opportunity to ask questions and start a discussion with mayors of Sant’Ilario d’Enza and Val d’Enza. The programme was finalized with an evaluation of the study visit and an overall visit review. 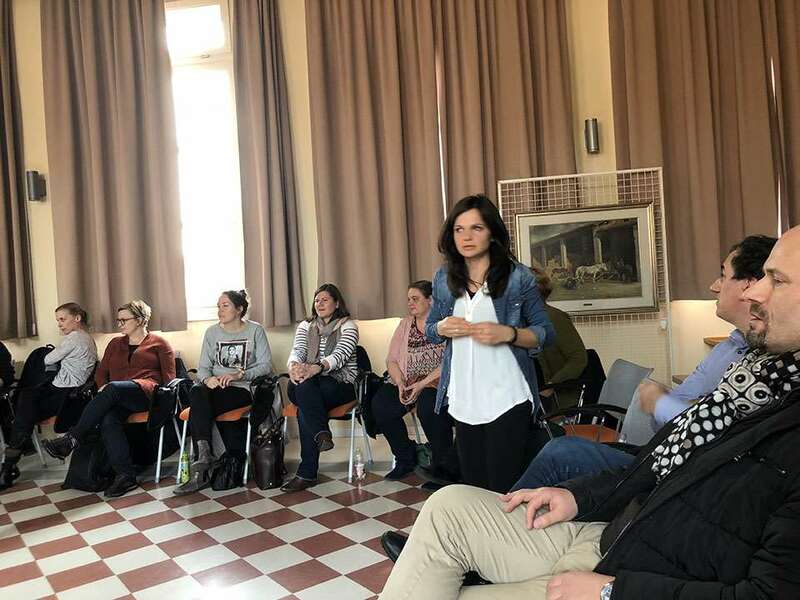 The study visit in Reggio Emilia was, following study visits organized in Pforzheim, Germany, Linkoping, Sweden and Zagreb, the final study visit organized within INTED project.